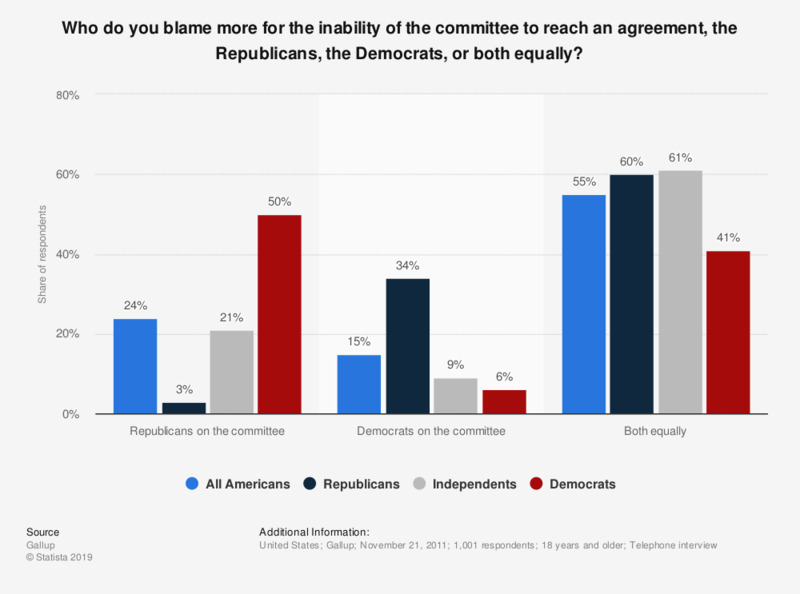 This statistic shows the public opinion on the inability of the committee to reach an agreement regarding the U.S. debt. The survey was done on November 21, 2011 and gives additional information about the political orientation of the respondents. The majority of the American people, 55 percent, blame both, Republicans and Democrats, equally for the failure. Overall, would you say Theresa May's first 100 days as leader of the Conservative party and prime minister have been a success? Do you think that Theresa May is a strong leader? Do you think that Theresa May has nation's best interest at heart?